We belong to the Order of Cistercians of the Strict Observance, whose members are also known as Trappists or Trappistines. The Order is comprised of monks and nuns who live in seventy-six monasteries of nuns and one hundred and two monasteries of monks throughout the world. Each monastery is autonomous, but in the spirit of our founders we are united in "one charity, one rule and similar observances," offering encouragement and concrete support to one another. The governance of the order is carried out by the General Chapter, in which abbots and abbesses meet collegially every three years to discuss the needs and problems of their communities and of the Order as a whole. Mount Saint Mary&apos;s Abbey was the first monastery of Cistercian nuns to be founded in the United States. 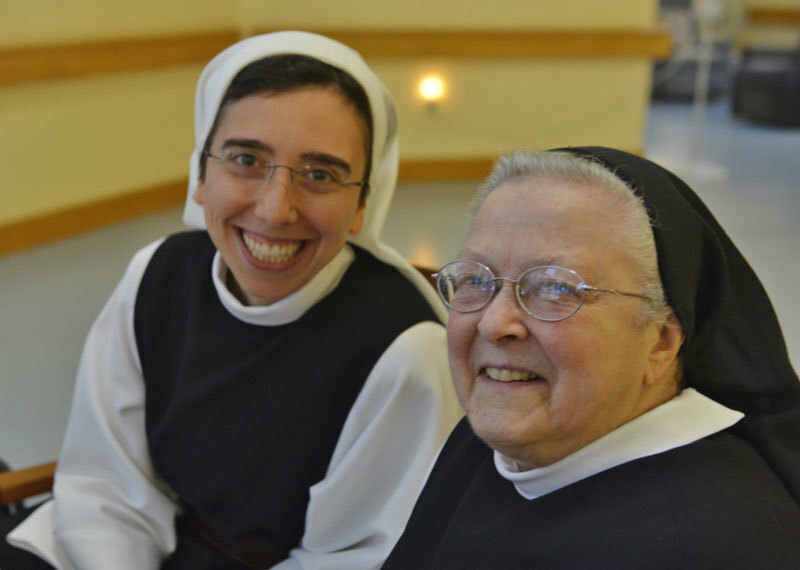 It all started in 1946, when Cardinal (then Archbishop) Cushing and Dom Edmund Futterer (abbot of Our Lady of the Valley) began to talk about establishing a community of nuns in the archdiocese of Boston. Archbishop Cushing promised to help finance the purchase of the property and the building. There was one condition: they had to be Irish. Young women interested in Cistercian life had been coming to Our Lady of the Valley (today Saint Joseph’s Abbey in Spencer, MA), and they were directed to Saint Mary’s Abbey in Glencairn, Ireland, which became our mother house. The community in Glencairn had been founded in 1932 by its mother house (our grandmother house), Holy Cross Abbey in Stapehill, England (now located in Whitland, Wales), which in 1802 was one of the first monasteries of nuns to be founded after the French Revolution. The monks of the Valley began to build the monastery in the spring of 1948. By spring 1949 the building was complete; the cornerstone was blessed on the feast of St Joseph. 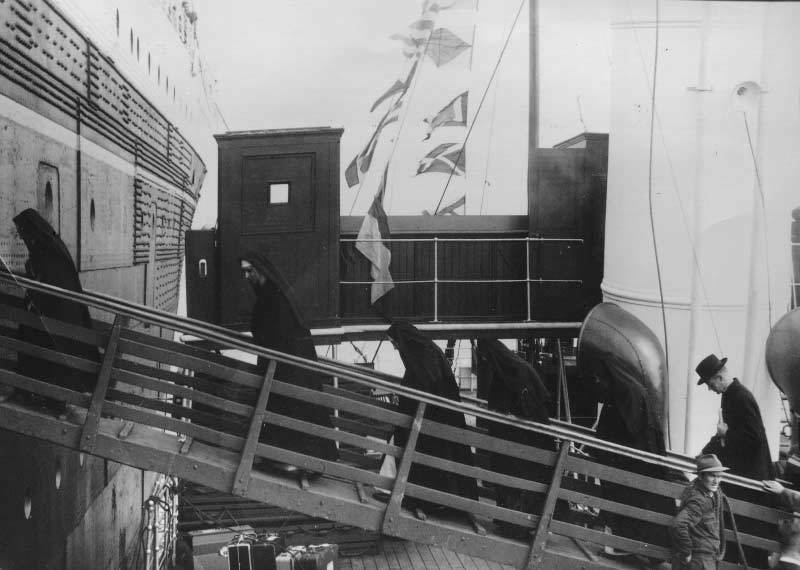 Archbishop Cushing sailed to Ireland and brought back with him seven Irish and four American foundresses. They arrived on September 30th and October 1st became our official Foundation Day. Mother Bernard O&apos;Donnell, one of the Irish sisters, was the first superior, and became the first abbess in 1950. In 1952, Mother Angela Norton was appointed superior and a few months later, was elected as the community&apos;s second abbess. In 1955, the Irish foundresses (with the exception of Mother St John, the first novice mistress, who had died suddenly in 1950) were called back to Glencairn due to the great need of the community there. The Wrentham community grew rapidly in the 1950s, and in 1964, our first foundation was made: Our Lady of the Mississippi in Dubuque, Iowa. Two more foundations followed: Santa Rita Abbey in Sonoita, Arizona in 1972 and Our Lady of the Angels in Crozet, Virginia in 1987. In 1999, we became a grandmother when Our Lady of the Mississippi founded their own daughter house: Tautra Mariakloster in Norway. After Mother Angela&apos;s death in 1986, Mother Agnes Day became our third abbess. At Mother Agnes&apos; retirement in 2008, the community elected Mother Maureen McCabe as its fourth abbess. Today we are a multigenerational and multicultural community, numbering about 40 sisters, who range in age from 25 to 90 and hail from all parts of the United States and beyond. One fourth of the community originates from countries outside the US, including Canada, Brazil, Scotland, Wales, Spain, Germany, Korea, Hong Kong, Japan, Australia and India. This diversity of age and culture adds to that diversity of character and temperament which is basic to any human community. We find it both a blessing and a challenge, as we seek to grow in love for one another, so that this love can overflow to all people.